Alan D. Strasser is a litigator with extensive experience in both civil and criminal cases. He has acted as lead counsel in approximately 100 jury trials and has briefed approximately 50 appeals. In recent years, his broad-ranging civil practice has included defense of legal malpractice cases and representation of lawyers and law firms in a variety of matters involving allegations of violations of rules of Legal Ethics, litigation of commercial and real estate disputes, litigation of adversary proceedings within bankruptcy, and substantial work in employment law, primarily for employers. His employment work has included litigation over employee handbooks, trade secrets, covenants not to compete, WARN Act, FLSA and Equal Pay cases, and employment discrimination. He has advised dozens of executives on issues relating to employment and severance agreements. He has represented government contractors in a variety of cases brought in the Court of Federal Claims and its predecessors. Alan’s criminal practice focuses on defense of white-collar criminal cases involving allegations of financial and securities fraud, anti-trust violations, money laundering, violations of the Foreign Corrupt Practices Act and commercial fraud. Alan has represented corporations and individuals sued under the False Claims Act by the government and qui tam relators. Alan’s practice includes representation of witnesses before congressional committees and the conduct of internal investigations at corporations and other organizations. He also has advised individuals and companies regarding compliance with the Foreign Agents Registration Act, the Lobbying Disclosure Act, ethics-in-government laws, and issues of legal ethics and professional responsibility. He has served as Special Bar Counsel on behalf of the D.C. Bar and served as chair of a Hearing Committee for the D.C. Bar lawyer disciplinary system. 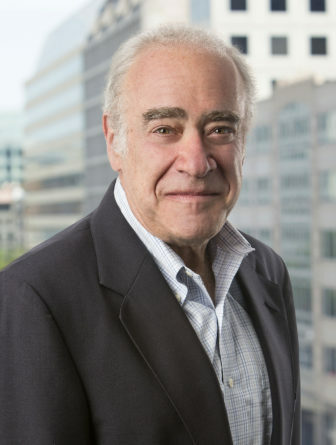 Before joining the firm, Alan spent many years as a partner in Kutak Rock LLP, and he has also served in government as, among other things, an Assistant United States Attorney in the District of Columbia and an Associate Independent Counsel. Represent two executives from Japanese company in anti-trust investigation of price-fixing. Obtained summary judgment, which was affirmed on appeal, in representing national law firm in $80 Million lawsuit resulting from alleged conflict-of-interest. Representing traders at two different prime banks in connection with criminal and civil investigations into alleged manipulation of Libor and Euribor. Representing major defense contractor in investigation related to theft of trade secrets and attempted corporate espionage. Representing The Official Committee of Unsecured Creditors in In re TOUSA, Inc., a fraudulent conveyance action in which a team of Robbins Russell lawyers secured a judgment in excess of $500 million. Representing Chief Accounting Officer in SEC investigation into multiple restatements of public filings.